The 3-star Grand Continental Kuala Lumpur Hotel is located right in the heart of Kuala Lumpur and offers 309 rooms. 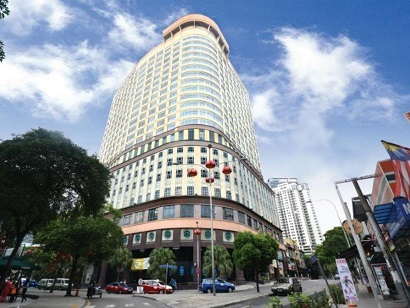 The hotel is close to the Putra World Trade Centre and Maju Junction Shopping Mall. A few yards away are the LRT and monorail stations, and in close distance is the Bintang Walk and Chinatown. On-site facilities and services include free car parking, a Chinese restaurant, tour desk/travel counter, mini gym and sauna, snooker center, secretarial services, conference rooms, and plenty more. Everything Grand Continental Kuala Lumpur Hotel does is centered around the guests' experience, ensuring comfort and relaxation. 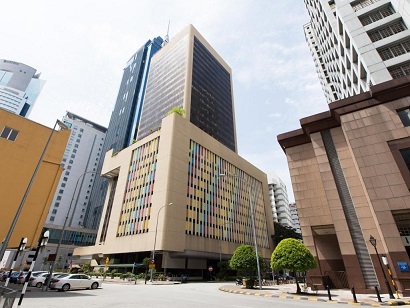 Hotel Capitol Kuala Lumpur is a business-class hotel located in the heart of the Bukit Bintang shopping and business district. It is strategically situated adjacent to major complexes, such as Sungei Wang Shopping Complex, Low Yat Plaza, BB Park, and the Beer Garden. This property is characterized by its elegant simplicity with rooms of unexpected luxury and modern convenience. This is the first and only hotel in the area that provides a comprehensive guest service center called One Stop, combining the services of a concierge, front desk, and room service. For your reservation at Hotel Capitol Kuala Lumpur, please select the dates of your stay and complete our secure online booking form. 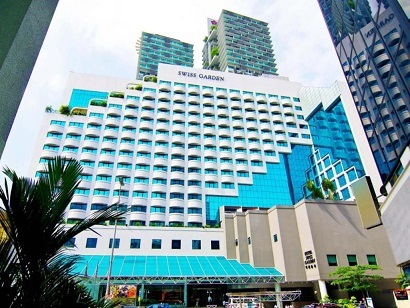 Ideally located in the heart of Kuala Lumpur, Federal Hotel is surrounded by eight of the city�s most popular shopping malls. Sitting in Kuala Lumpur's Golden Triangle, it is a prime location for commercial and entertainment purposes. It is also just a stroll away from Times Square, Bintang Walk, Pavillion, Sungei Wang, and Low Yat Plaza which is the largest IT mall in Malaysia. At the Federal Hotel, guests can unwind at the outdoor pool set amidst a refreshing tropical garden. For those who fancy inexpensive and delicious local eateries, Alor Hawker Street is opposite the property while the Arab Square is a short stroll away. Apart from featuring a fantastic location, Federal Hotel also boast well-appointed rooms that promise in-room facilities needed for a comfortable stay. All things considered, Federal Hotel is excellently located, well appointed, and reasonably priced. 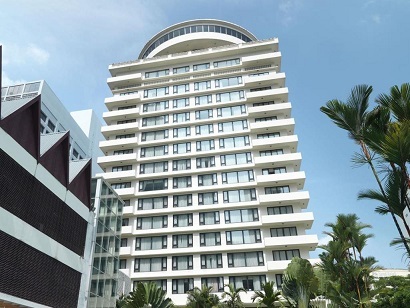 Swiss Garden Hotel Kuala Lumpur is an international class property, famed for its high standard of accommodation and enviable location. Strategically located between the famous Bukit Bintang area and Chinatown, the property features 310 rooms with modern amenities. A short walk will lead guests to Times Square, Pavillion, Sungei Wang, Changkat Bukit Bintang, Jalan Alor, Times Square, and Stadium Merdeka. It is simply a desired lifestyle complemented with facilities which include an outdoor pool, gymnasium, sauna, steam room, and Indonesian Balinese massage and tropical spa treatments at Samsara Spa. Guests are able to access internet from their room. Besides international standard accommodation, the hotel also offers a unique dining experience at the charming Flavors Restaurant and the stylish and trendy T@ste6 Brasserie. For the health-conscious, Green Treats Delicatessen offers a wholesome range of hearty treats. The combination of the hotel�s excellent on-site service and its proximity to these surrounding attractions make it an ideal stop on anyone's itinerary. 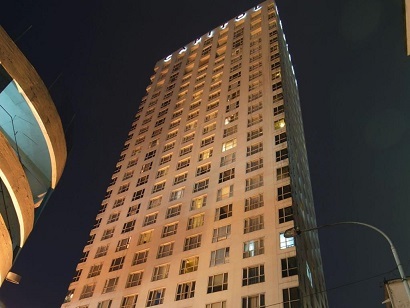 Hotel Soleil is conveniently situated within close proximity of the hip and happening Bintang Walk. The property has easy access to the city�s public transport network, allowing for swift movement with the area. The hotel is also less than two kilometers from many of the primary tourist attractions, such as the Petronas Twin Towers, Kuala Lumpur Tower, Merdeka Square, Chinatown, and the famous Handicraft Center at Central Market. Each of the 458 rooms comes with a series of quality amenities, including air conditioning and color TV. A coffee shop, swimming pool, and lunge are available for guests� leisure needs, while a fully functioning business center can be utilized by corporate travelers. 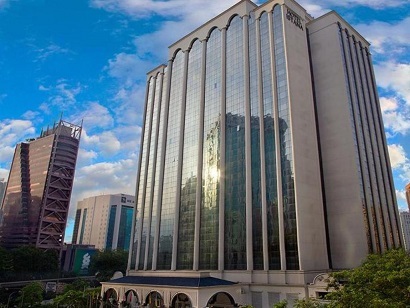 The 5-star, 23-story Hotel Istana Kuala Lumpur City Center is centrally located at Jalan Raja Chulan in Kuala Lumpur�s prestigious Golden Triangle. Renowned shopping malls such as Pavilion, Lot 10, Starhill, Suria KLCC, and Changkat Bukit Bintang entertainment hub are at its doorstep. KLCC Convention Centre and the Petronas Twin Towers are a 10-minute walk via the Skybridge. It has an efficient road and rail transport and limousine service, while KL International Airport is an hour�s drive away. The property has 486 well-appointed guestrooms and suites with complimentary Wi-Fi throughout the premises - perfect for leisure and business travelers. Other facilities include a Grand Ballroom, 19 function rooms, 5 food and beverage outlets, a fitness center, swimming pool, sauna, Jacuzzi, and a spa.